1. 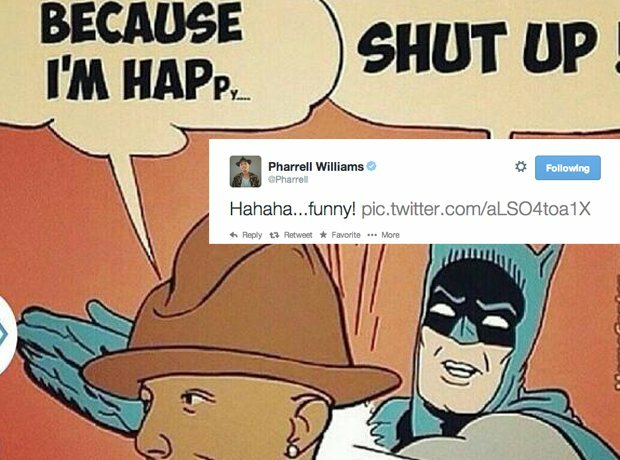 Pharrell's 'Happy' got a good talking to from none other than Batman. 4. Jhené Aiko shouted out to all the underdogs out there. 6. Nicki cleared something up about THAT Instagram post. 7. Who can see it Rick Ross? 8. Think Labrinth had a heavy night? 10. Angel Haze never fails to throw out a nice quote on Twitter.